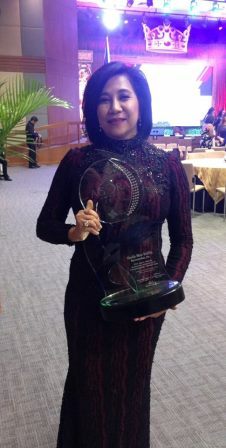 Nutramedica, Inc. President and CEO Sheila Mae Velilla bagged the Outstanding Achievement in Entrepreneurship – Medium Scale at the recently concluded 37thAgora Awards. Nutramedica is a homegrown 100% wholly-owned Filipino enterprise that manufactures and distributes Novuhair, an acclaimed line of products that addresses hair loss. 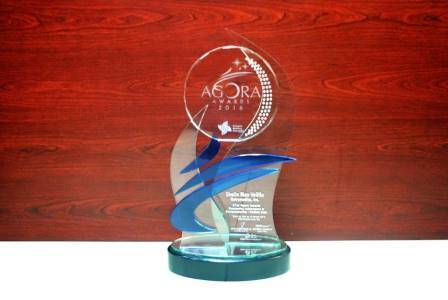 Held last October 26 at PICC, CCP Complex, the Agora Awards recognizes individuals and organizations for exceptional marketing skills and strategies. It is touted to be the premier marketing awards body in the country and sets the high standards of excellence in the industry. Moving in an industry dominated by giant multinational pharmaceutical companies, Nutramedica’s tenacious rise from its humble beginnings as a microenterprise is one for the books. Thanks largely to its creativity and innovation, it has become a major player with a well-established niche in the industry. Founded in 2004 by Velilla, Nutramedica develops beauty and healthcare products out of natural and mostly indigenous ingredients. It is one of the pioneers in the commercialization of virgin coconut oil (VCO) and gained wide success with its slogan “healthiest oil on earth,” which led to its acquisition by a big company. It continued to create more VCO-based skin care products and hit the jackpot with its latest, and now banner, product – Novuhair, nature’s answer to hair loss. This breakthrough solution is made of 19 herbal ingredients and comes in topical scalp lotion, herbal shampoo, and herbal conditioner that effectively battles the effects of hair loss and helps enhance and restore one’s crowning glory. Launched in 2009, Novuhair enjoys tremendous success until today. It is widely accepted not only here in the Philippines, but also in other countries. It is set to enter the international market, starting with the United States (US), in December of this year. Such bold, yet timely, move of the company to export Novuhair to the US and eventually the Middle East also opens the opportunity for proudly-made local products to penetrate the global arena. Novuhair’s popularity and market leadership may be attributed to the company’s initial market study coupled with the right timing, as well as smart use of resources by coming up with an effective tri-media campaign best described as low-budget yet high-impact marketing. Leveraging on its organic growth from a microenterprise to medium scale with over 30 employees in a span of 12 years, Nutramedica continues to further develop, market and distribute high-quality goods that could bring honor to the country. The firm raises the bar in entrepreneurship with its faithful adherence to best business practices, such as provision of high quality products and excellent services, adaptability to market trends, constant innovation, diversification of trade, and giving back to society. “Great things in business are never done by one person, they are done by a team of people”, Velilla quotes Steve Jobs when asked what’s her secret to success in this competitive business of beauty and healthcare. “We at Nutramedica also adhere to our core values of integrity, trust, fairness, discipline, humility, leadership, teamwork and faith in God. That’s our winning formula,” Velilla further adds. For more information visit www.novuhair.com, like the brand’s official Facebook Page at Novuhair Official, follow it on Twitter at @NovuhairNaturaland on Instagram @novuhairofficial.